sees this deal as a major shift of US policy to backing Shia muslim nations over the Sunnis, who have been favoured for the last 30 years. On the whole I suspect the US policy has been to divide and rule between Shia and Sunny over that period, and if Obama is shifting to a policy of backing the less extreme side in any rift, then that is completely out of character (for US administrations) and to be heartily encouraged. From what I have been able to read the deal will allow the Iranians to cheat on the specifics enough so that they will in fact have a working weapon shortly. So at some time in the future they might launch one bomb at Israel and moments later Tehran will become a smoking radio active crater in the desert. As far as I am aware, The Rapture is more of a (perversion of) a Christian concept. I do not think even the the most fanatical Jihadist contemplates triggering utter defeat. And most Jihadists these days seem to be Sunni, not Shia. The deal may be fudged and Iran might slip a weapon under the radar, but recent history clearly indicates that the best way for a nation to avoid regime change at the behest of US foreign policy is to detonate an underground nuclear device. Or they could just become a law abiding member of the international community and live quite prosperously on their oil revenues. 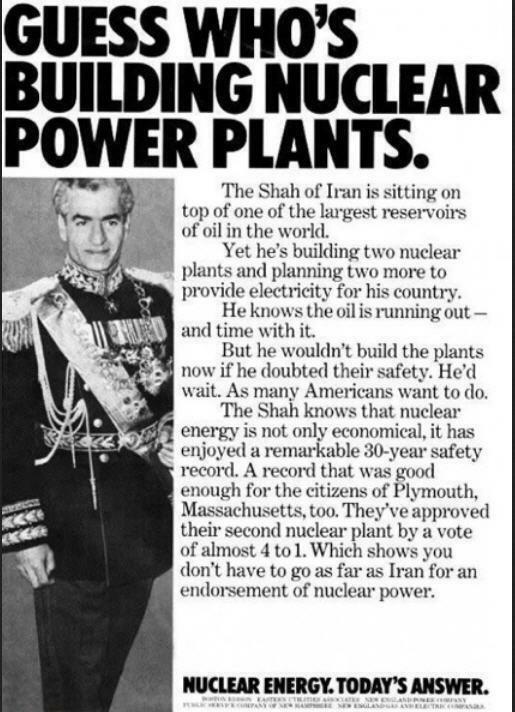 Back in the early 80s Iranian students attended my college (Imperial, London) to learn nuclear engineering. The college ran its own small research reactor. After the revolution, I suspect no new students were accepted. During the Iran IRaq war there was a lot of tension as students of both nations were in the college. The Iranian hostage siege was just around the corner, the Iraqi embassy on the other side of the campus. Yes, I remember that too. They formed a significant proportion of the international student community. Made friends with some. Was Prof. Peter Grant there at your time? He was my personal tutor. Seemed to spend a lot of time popping up and down to Dounreay. Reports state that Iranian parliament and the shrine to a late leader is under attack by gunmen and a suicide bomber. Some reports state that the attack is ongoing, whilst others state that the situation "has been contained"
Islamic State (IS, formerly ISIS/ISIL) claimed responsibility for attacks on both the parliament and Ayatollah Khomeini's mausoleum, Amaq news agency, which is affiliated with the group announced. As of noon on Wednesday, the clashes were still ongoing between Iranian security forces and the attackers, Tasnim reported. Attack possibly still ongoing then. Timing of this, coupled with KSA threats and now blockade of Qatar, seems highly suspect to me. Now seems to be over, 12 dead. Islamic State claim that they carried out the attack, but the Iranian revolutionary guard claim that it was done by Saudi Arabia! That should promote feelings of peace and unity ! There seems to some large scale protests under way in various Iranian cities, SOME reports use the term "revolt"
The people are dissatisfied with life in general and with their government in particular. I'd lay money on it being fomented by outside actors. Namely, the USA and it allies in the region.